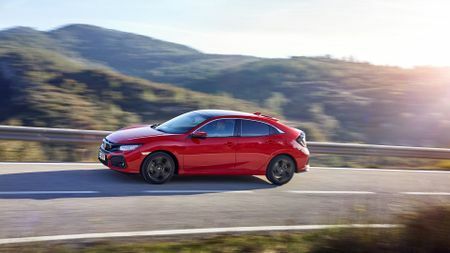 The fact remains that the Civic is now a real contender in the family hatchback class, and with the standard of the opposition, that’s really saying something. 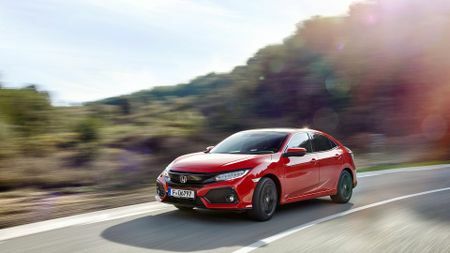 In terms of how it drives, the tenth-generation Civic is a vast improvement on its predecessor, keeping you comfortable and entertained in equal measure. The entry-level petrol engine is great on both performance and economy, too. It’s not the poshest-feeling hatchback, and it’s a little limited on practicality, so it’s not perfect. 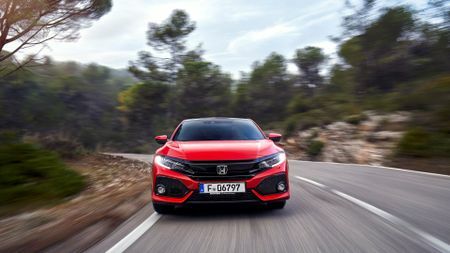 However, the fact remains that the Civic is now a real contender in the family hatchback class, and with the standard of the opposition, that’s really saying something. The tenth iteration of the Honda Civic, a family hatchback that's been plying its trade for the last 40-odd years. As we all know, however, longevity is no guarantee of excellence. The current Civic is a prime example. Despite its rich and lengthy heritage, that car missed the mark in quite a few areas, so with its replacement, Honda has gone back to basics. In short, absolutely everything is new: platform, suspension arrangement, engines, you name it. As a result, the Civic is significantly longer, wider and lower than the car it replaces. It’s also a fraction lighter overall, yet much stiffer structurally, while the centre of gravity has lowered by a considerable amount and the front-to-rear weight distribution has been improved. All of this should – in theory – amount to significant improvements in the way the car drives, but the question is, does theory translate into reality in the case of the Civic? If you ever experienced an old Civic, which always behaved in a rather nervous and unsettled way on the road, then this car will be pretty much unrecognisable. 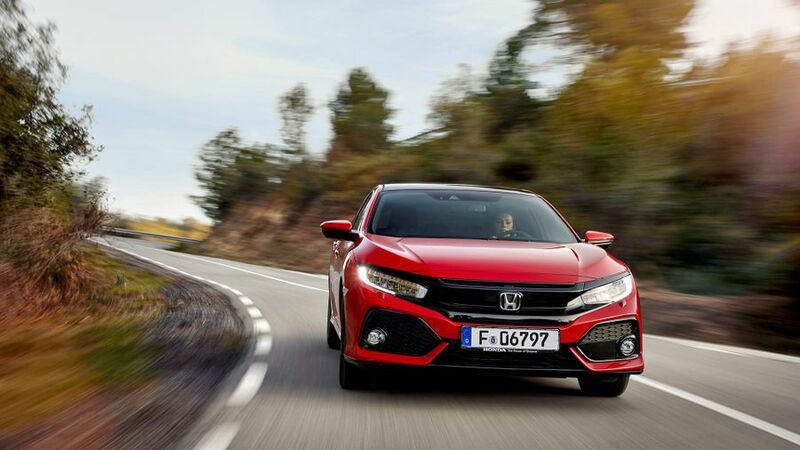 The suspension does a great job of shielding you from the effects of a bumpy surface, so the ride always remains comfortable, and because you’re well isolated from exterior noises, the Civic is also a fairly quiet and serene way to travel. It also has the capacity to excite when given the opportunity, too, because it handles with real deftness and precision. The grip on offer is nothing short of immense, while the body is kept impressively flat under heavy cornering forces. The steering is brisk and predictable in its responses, and you feel enough feedback through the wheel to keep you on top of the action. The pedals are responsive, the gearshift has a precise, short-throw action, and it all adds up to a car that feels impressively stable and secure in all driving situations. Just as impressive is the 127bhp 1.0-litre turbocharged petrol engine in our test car (a 180bhp 1.5 turbo will also be available at launch with a diesel following later). It’s impressively smooth for a three-cylinder unit, and it doesn’t get too raucous on the noise front, even when you thrash the pants off it. Best of all, though, it stays perky and eager right throughout the rev range, and this helps keep you moving along without too much effort. Being a small-capacity turbo, the engine also manages to combine this impressive performance with excellent economy. Depending on the equipment grade of your car, CO2 is punted out at a rate of 110g/km at its minimum, while the corresponding official fuel economy figure sits at 58.9mpg. Even by the impressive standards of the class, those are good figures. Climb inside, and drivers of the old Civic will immediately notice how much more comfortable they are. That’s because the awkwardly high driver’s seat has been replaced by one that’s set much lower, and there’s lots of adjustment in both the seat and the steering wheel. You’ll also notice how much simpler everything looks. Rather than being faced by a vast array of dials that are stacked up in a horribly confusing layout, your instruments are nice and easy to read. A touch-screen system does away with the need for too many dashboard buttons, too, but the system isn’t the most intuitive of its type and the graphics look a little dated. Your rear visibility is pretty limited, too, due to small back windows and a spoiler that slashes across your rear screen, blocking your view. Practicality is something of a mixed bag. There’s lots of rear leg-room, but head-room will be a little tight for taller passengers. The boot is a decent size, but the seats don’t lie totally flat when you fold them down, and the previous Civic’s ingenious ‘Magic Seats’ feature – which allowed you to carry particularly tall items in the rear footwells by allowing you to flip up the bases of the back seats – is not provided in the new Civic. On the quality front, the Civic feels very solid, and there are soft touch materials in most of the important places. There are one or two slightly drab and grainy finishes that mean it doesn’t feel as expensive as its poshest rivals, but you won’t feel shortchanged. Well, compared with the last couple of Civics, you certainly have more reason to. This is a car that’s dynamically very polished, so you’ll always enjoy driving it. If that forms a major part of your buying decision, then you should certainly give it a look. If cabin quality or practicality are more important to you, however, then there are other family hatchback offerings that’ll probably suit you better. 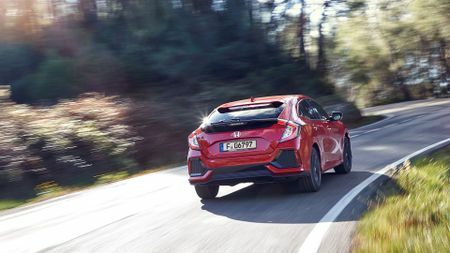 If you are sold on the Civic, though, prices are competitive without being particularly cheap, so it feels like good – if not exceptional – value for money. Interested in buying a Honda Civic?